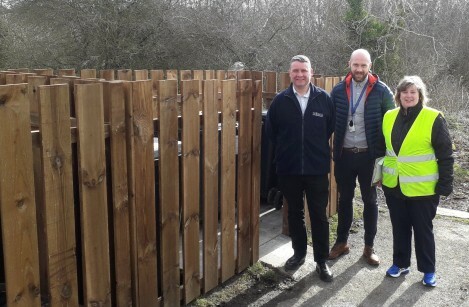 Our walkabout programme gives Tenants, residents and other interested parties the opportunity to meet with members of their Community Team to discuss improvements that they would like to see in their area. 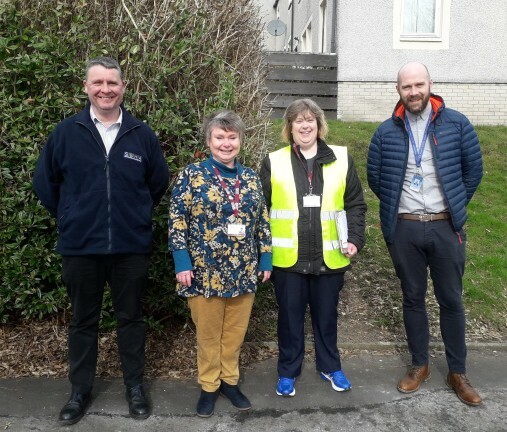 Yesterday it was the turn of Newtown St Boswells, and Neighbourhood Housing Officer Tim Rennie and Maintenance Surveyor Colin Sandilands met with SBC’s Waste and Recycling Adviser Ruth Collin, as well as Councillor Elaine Thornton-Nichol, to discuss what could be done to improve the area. As a result of previous Tenant feedback, some bin stores have been installed at the top of Whitefield Crescent. Look out for an opportunity to take part in a walkabout near you – let’s make things happen!